Seasons come & go but health needs attention all through the year. A fit body can be attained with the combination of healthy food, natural supplements & great fitness routine. People have been continuously pondering & looking for food options that go hand in hand with their fitness. One such healthy & tasty option is turmeric latte. Turmeric latte is a healthy drink which is quite tasty as well. The health benefits of this drink have been driving people crazy. The most important constituents of this drink are turmeric, milk & spices. This unique combination looks a little weird but has extraordinary effects on the body. Turmeric is enriched with anti-inflammatory & healing properties. 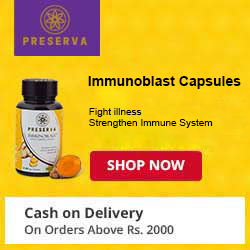 It is loaded with anti-oxidants and is capable of turning our body into an utterly healthy masterpiece. When this superstar ingredient is combined with milk, & spices, the outcome becomes double helpful for nourishing the body. The milk lends this drink a creamy & delicious taste whereas spices make it healthy. Its preparation & consumption doesn’t involve any kind of hassle. The method of preparation is quite simple & thus makes people ditch their regular cups of coffee & tea. Take the milk & warm it. Add the grounded spices to it along with the turmeric powder or paste. Whisk it in a blender to get the frothy drink. Put in a few drops of honey if you want. Sprinkle powdered cinnamon on it & serve. Turmeric Latte possesses many significant qualities that contribute towards strengthening the body & making it free from diseases. Some really impactful changes that this drink lends to our body are- 1. Works on inflammation- Inflammation in the body organs can be really difficult to deal with. Not only does it damages the body but also attracts many more diseases. 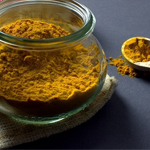 Being packed with anti-inflammatory properties, turmeric works really effectively on inflammation. When used in turmeric latte, it enriches the body with antioxidants & curbs down inflammation. Many diseases like arthritis in which inflammation is a significant symptom, can be given relief with this natural drink. 2. Improves gut health- Turmeric can really help in improving the digestive system through their anti-bacterial properties. People suffering from irritable bowel syndrome find a rescue with the help of turmeric latte. Since turmeric latte contains spices like cinnamon, black pepper along with turmeric, it helps in treating bacterial infections really well and also helps in reducing abdominal pain. When this simple drink replaces a daily cup of coffee, it goes a long way in improving gut health. 3. Skin Benefits- Skin & scalp infections are often caused due to bacterial infections, fungal infections, inflammation & lack of antioxidants. Turmeric latte not only makes one feel good but also helps in nourishing the skin with the antioxidants that drive off the skin deteriorating free radicals. This drink is highly recommended for people with skin problems. 4. Pain reliever- Whether it is a minor sprain in a foot or a common backache, turmeric works like a natural pain killer for all types of pain. Turmeric latte has turned out to be the popular drink since people consider it a drink that helps naturally in healing wounds & injuries along with taking care of the pain. 5. 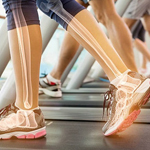 Bone strength- Turmeric & milk is a wonderful combination that works like magic for bones. Turmeric latte has a great amount of calcium content which helps in doing away the bone issues. It also helps in improving the bone density & acts as a natural treatment for diseases like osteoarthritis. 6. Helps in managing body weight- Turmeric latte is a healthy drink that has very less calorie count. It is prepared without sugar & helps in better break down of fats which in turn keeps the weight in check. 7. Natural treatment for depression- Depression is quite a common issue all over the world. After a great deal of research, it has been found out that turmeric helps in improving the health of the nervous system. The antioxidants present in turmeric latte help in relieving stress & calming down the body. Thus, it serves as a natural treatment for depression.